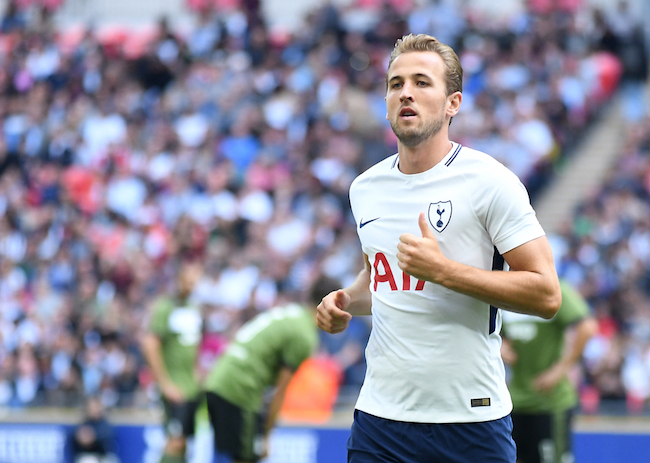 After Harry Kane signed off last season with a glut of goals and a tweet aimed at his former critics, talk is now turning to whether he might be the man to threaten Alan Shearer’s Premier League goalscoring record. But if the Spurs talisman gets anywhere near it, there are certain facts which Shearer is entitled to bring up. 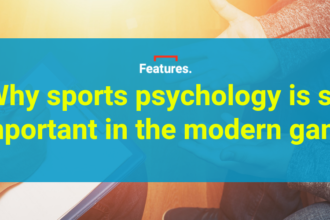 As the Premier League hits the age of 25 years, attaching those two words to every football fact, statistic and subject has become the norm. More often than not it’s Premier League this, Premier League that. The most wins in a Premier League season by Chelsea. The worst-ever Premier League title defence by Leicester City. Alas, Wikipedia is rife with articles such as ‘Premier League records and statistics’ and ‘List of Premier League players with 100 or more goals’. Because, of course, football did exist before 1992. Although some might disagree, league titles won more than 25 years ago should hold exactly the same value as those won today. But something everyone might concur with is that individual goalscoring can’t be treated like-for-like. Direct comparisons to peerless ancient records of the likes of Jimmy Greaves, Steve Bloomer and Dixie Dean is grossly unfair on modern-day strikers who are playing in an age of much tighter defences. So regardless of whether the Premier League breakaway was a good thing or not, we could reluctantly accept that 1992 has now become a clear line in the sand for comparison of modern-day player achievements. For most goals scored since then, the long-time runaway leader is of course Alan Shearer and no one has ever looked likely to challenge his record – except perhaps Thierry Henry and Wayne Rooney. Henry’s goals-to-games ratio (174 in 254) and four golden boots might have left Shearer worried – but the Frenchman departed for Barcelona at the age of just 29 and only briefly returned to add one more goal. With Rooney’s goalscoring increasingly on the wane (no pun intended), the focus has now wholeheartedly shifted to whether it will be Harry Kane who beats Shearer’s 260 Premier League goals. But in this particular battle, Kane has an advantage of not starting his career before that line in the sand of August 1992. 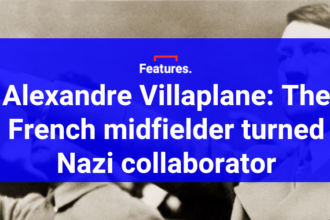 In fact, he was only born one year after the Premier League kicked off, but even today’s 30-something players didn’t transition through the league’s founding. For every Rooney, Jermain Defoe and Michael Owen – who have enjoyed pure post-1992 Premier League stints – there’s an Ian Wright, Teddy Sheringham and Les Ferdinand who have had their careers diminished by their younger days in the old First Division. For those players, their enviable goalscoring feats prior to 1992 essentially get scrubbed from the record books whenever a list of ‘Top Premier League goalscorers in history’ gets bandied about or a new Sporcle quiz invented. 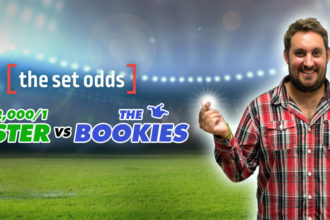 Matt Le Tissier may be a Premier League legend of the highest order anyway, but his 100 Premier League goals hide 60 further top-tier strikes – goals which would put him in the all-time Top 10 if they were allowed to count. 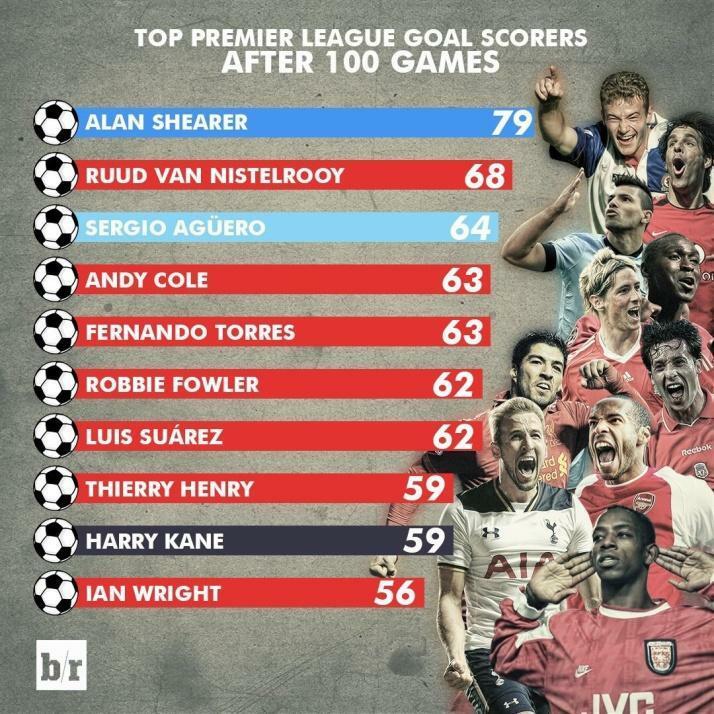 Wright (52), Sheringham (33) and Ferdinand (20) are other major losers of goals they have actually scored. And although Shearer’s prolific goalscoring only began upon signing for Blackburn Rovers in the summer of 1992, he still gets his 23 league goals for Southampton written off. Unsurprisingly, there’s no asterisk with a note to clarify this when we repeatedly see ‘260 Premier League goals’ beneath his name on Match of the Day graphics. So for 260, read 283. Kane’s task has suddenly become a lot harder. 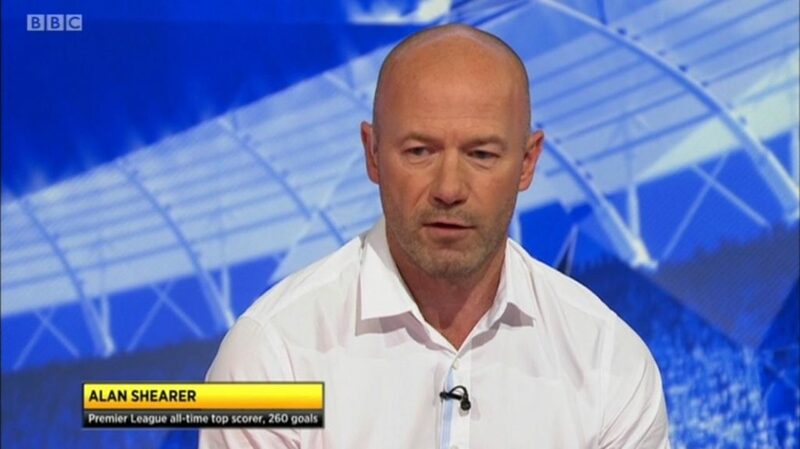 Frivolous use of statistics has sometimes worked in Shearer’s favour – notably on his record of most goals after 100 Premier League games. His extraordinarily productive years at Blackburn created a record which is unlikely to ever be beaten. But in this instance, Shearer benefits from having his less prolific seasons at Southampton taken away, with his 100 Premier League games starting in perfect fashion with two goals on 15 August 1992. And while the immediate adjustment to Premier League demands by Ruud van Nistelrooy, Sergio Agüero et al is admired, all the foreigners on the above Top 10 list arrived in England with a lot of pedigree. So a special word then for Robbie Fowler, whose strike-rate in his formative teen years becomes particularly impressive – with the ultimate boy wonder Owen not even making this Top 10 list. Even Kane benefitted from numerous loan spells before he properly hit the Premier League ground running at the age of 20 in April 2014. On a related tangent, Gareth Barry is just five matches short of breaking Ryan Giggs’ record of 632 appearances in the Premier League. Barry will earn deserved plaudits when it happens and, given Giggs’ vast array of unmatched personal achievements, it’s unlikely the Welshman will come out and squabble about his 40 top-flight appearances before the Premier League started. Besides, appearance records – although still hugely respected – don’t get thrown around half as much as goalscoring feats, so it’s correcting the lost goal injustices that needs addressing first. It feels decidedly unfair to apparently forget so many pre-1992 goals from the likes of Le Tissier and Wright when flashing up a Premier League statistic. A simple solution would be to acknowledge the arbitrary nature of the line in the sand at 1992 and allow ourselves to add on any goals players have scored before it. Rewriting the Premier League record books in that way with the aforementioned asterisk may seem messy (even if it’s fairer) but it also throws up another problem. If we’re evaluating English top-flight goals by players who have scored at least one goal in the Premier League, then the likes of Ian Rush (232), Tony Cottee (214), Lee Chapman (179) and Peter Beardsley (160) would have to be considered. Can we allow them to jump to lofty positions (second, third, sixth and thirteenth) on a ‘Best of Premier League’ list? They are indisputably legends of the 1980s, but you’d possibly raise an eyebrow if they appeared in any ’90s Heroes series. So despite Cottee adding 78 Premier League goals to his top-flight haul and Beardsley’s glorious autumn years for Kevin Keegan’s Newcastle entertainers, let’s set a 100-goal benchmark to classify a goalscorer as predominantly a Premier League player. The result is that in rewriting the Top 10, Shearer significantly extends his lead, all but the top three move around, Wright and Le Tissier become new entries, while Defoe and Owen slip out completely – although Defoe needs just three more at Bournemouth this season to take Le Tissier’s place. So there it is. The definitive rewritten all-time Top 10 Premier League goalscorers list inclusive of English top-tier goals scored prior to August 1992 with a qualifying minimum of 100 Premier League goals. Doesn’t exactly roll off the tongue, but at least it’s fair play. Over to you, Mr Kane.